Steven Freid is the next Oprah! 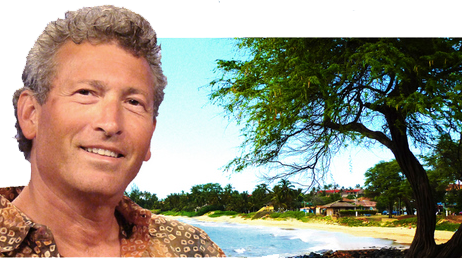 Life on Maui is an upbeat TV talk show filmed on Maui with host Steven Freid. People come from all over the world requesting to be on the show. Steve interviews celebrities and experts on a variety of fascinating topics for your enjoyment and for your personal and professional transformation. Steve is fulfilling one of his life’s dreams by filming and hosting Life on Maui. As a kid, he would come home from school to watch Merv Griffin and stay up late to watch Johnny Carson, learning at a young age by watching the masters. But Steve’s style is more like Oprah’s – he likes to get to the “heart” of what matters. A skilled interviewer, Steve has a gift for getting to the little known gems of people’s lives. Steve truly cares about people, enjoys getting to know them, and loves sharing their fascinating life stories with the world on the Life on Maui show. CLICK ON ANY TOPIC ON THE NAVIGATION BAR ABOVE, AND WATCH THE INTERVIEWS THAT INTEREST YOU. Your generous donations enable us to upgrade our production values, invite the best guests, and support the broadcast of marvelous interviews more consistently! If you are interested in being interviewed on Life on Maui or having the Key Moments of your life videotaped to cherish forever, please go to the contact page above and leave us a note. Life on Maui is a staple in my home. I’d rather watch Life on Maui than any show.